We have had little luck finding an urban community with a desire to work on the project. After unsuccessful negotiations with Ciudadelas de Libertad we decided to look for another community to continue the work. However, we have seen that it is more difficult to find instances of local involvement in urban communities. In Tirrases we had to suspend the process due to the lack of interest of the people involved. These two situations lead us to believe that the most difficult problem faced in urban areas is precisely the sense of “belonging”. Urban communities in Costa Rica are increasingly shaped by migrants from rural areas or passing students who reside in them during the week to attend classes. Moreover, with the recent spike in crime we are experiencing a very strong process of individuation, which locks people into their private property and hamper their relationships with neighbors and the collective bodies of their neighborhoods. 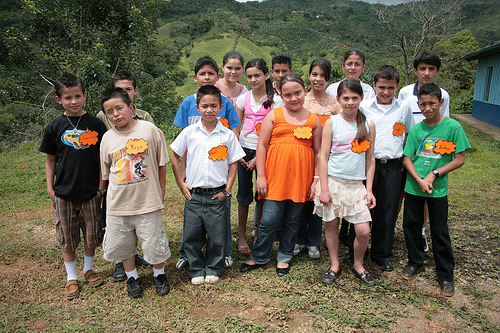 Ciudadelas de Libertad is a non-profit, self-managed foundation that works promoting the educative and cultural development of the young population in the Desamparados community. They offer scholarships and additional academic support to young members of the community, and have been working since 1974. We presented the project proposal to the board of Ciudadelas de Libertad, and they have accepted to work with us. This will be the last of the three communities we will work with, for they suggested us to start at the begining of 2010, after the participants are done with their community work program.